Good morning to you. Monday on Speedy TV you will find the "Friends of Speedy TV Challenge". Here is a sneak peek. 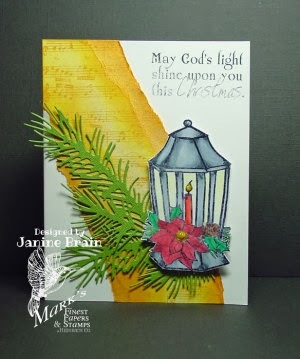 This card was made by Janine. Can you guess the theme? Click on the word Monday just above the post and it will take you to the challenge. Also check out the fun column 101 Ways and Counting for wonderful stamping ideas. Click on Stampers Columns above to go to it. 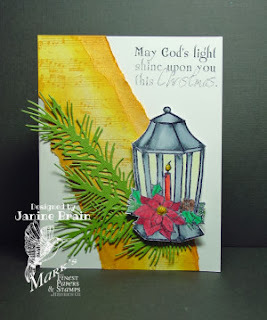 Christmas/Holiday Blog Hop Final Day!